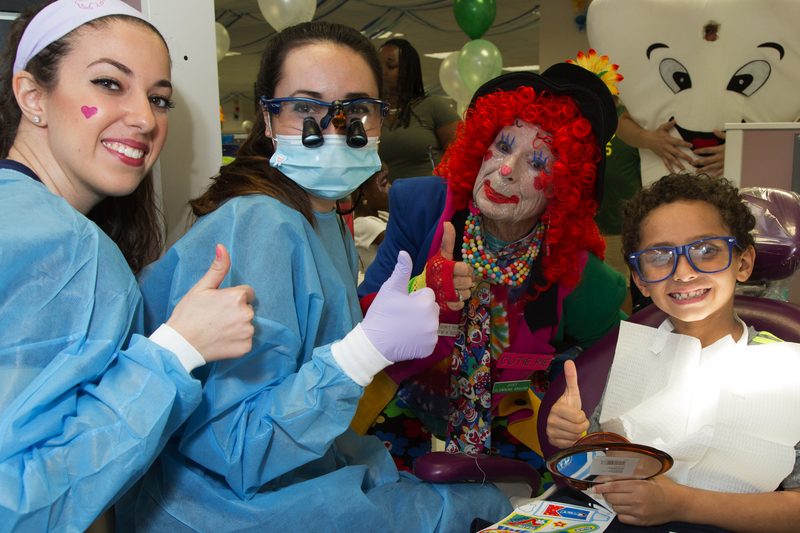 Nova Southeastern University (NSU) College of Dental Medicine will offer dental screenings, examinations and treatments to children ages two to 21, including special needs patients, on Saturday, February 3, 2018, from 8 a.m. to 1 p.m.
NSU has joined forces with the American Dental Association (ADA) Foundation in providing the Give Kids a Smile (GKAS) program at the university’s main campus, 3200 S. University Drive, since 2003. Students from the College of Pharmacy, the College of Optometry and the Dr. Kiran C. Patel College of Osteopathic Medicine also will be on hand to provide additional health advice. Attendees will enjoy a festive, jungle-theme atmosphere with Disney characters, face painters, live DJ music and a special appearance by “Timmy the Tooth.” GKAS is open to the public by appointment. Walk-ins are also welcome. 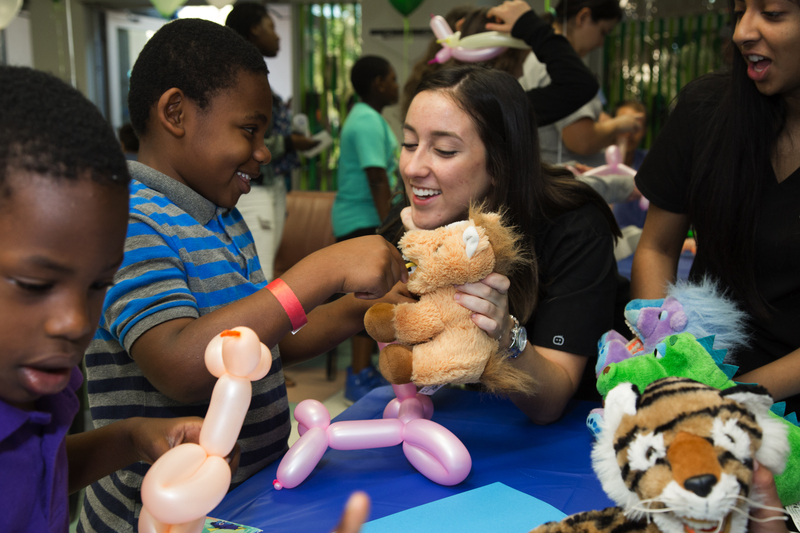 Unlike many other universities, NSU’s Give Kids a Smile program is student led and organized and includes monthly oral health education visits at different local schools. NSU faculty members donate their time to this community service event and supervise dental students in this worthwhile project. Sponsors include Henry Schein Inc, Colgate, American Student Dental Association, and NSU College of Dental Medicine’s Student Government Association. WHEN: Saturday, February 3, 2018 from 8 a.m. to 1 p.m. The names and ages of children attending. Please arrive 15 minutes early to fill out necessary paperwork and medical history. A PARENT OR LEGAL GUARDIAN MUST ACCOMPANY EACH CHILD AT THE EVENT. To provide education, screenings, preventive, and restorative services for South Florida children, and to create awareness about the access to dental care issue that exists in the United States. This is particularly significant given that the U.S. Surgeon General reports that more than 51 million school hours are lost each year to dental-related illness. The Pew Children’s Dental Campaign describes dental care as “the single greatest unmet need for health services among children” in its latest report.